HexaCorp is a proven partner for Office 365 implementation, integration, custom solutions and support services. Exchange On-Premises(2010 & 2013) to Exchange Online Migration. Other Mail Servers(Gmail & Zimbra) to Exchange Online Migration. SharePoint On-Premises to SharePoint Online Migration. SharePoint Online Implementation & Customization. Cloud Storage with OneDrive Migration. HexaCorp has over a decade of extensive experience with SharePoint and its integration with the Office Suite of products. With Office 365 for business, HexaCorp can help you take your business to a new level, the cloud. Our team of experts will help you devise and execute on a strategy to upgrade, migrate and implement Office 365. Whether you are new to the features with O365 like SharePoint Online or Lync 2013 or your organization grew up on the Microsoft Technology Stack, HexaCorp can help. We can develop your existing applications to be cloud ready and integrate them with your other business systems seamlessly and smoothly. 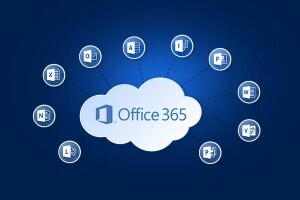 Office 365 offers business-class email, shared calendars, IM, web conferencing and access to the most up-to-date documents stored in the cloud. You can work together in real time without compromising security. Wherever your people are, online or offline, they can get to-and work with-the most up-to-date versions of the files and tools they need to get things done. And they can do it on virtually any device. At its heart is Office itself-the familiar Office applications businesses use everyday-now offered as a cloud service, so it’s always up to date. But Office 365 is also so much more. It’s about bringing enterprise-grade services to organizations of all sizes from online meetings to sharing documents to business-class email. What does your business need to stay competitive and modern? HexaCorp can help.